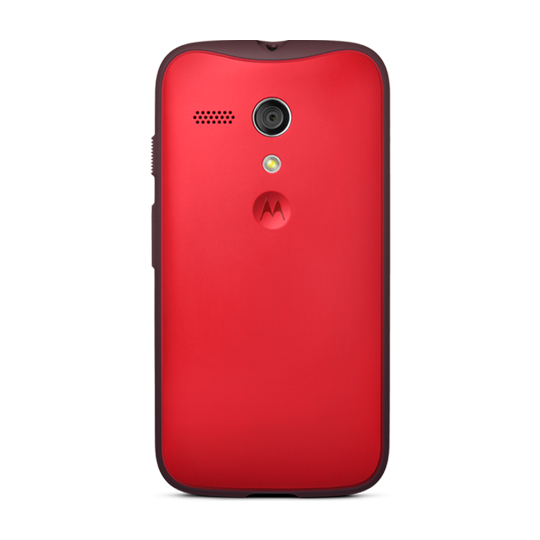 If you’re looking for a way to spice up your Moto G and keep its screen protected at the same time Motorola has you covered. This morning, the company finally started selling its line of Grip Shells for $19.99 a piece, offering a colorful way to keep your smartphone protected. 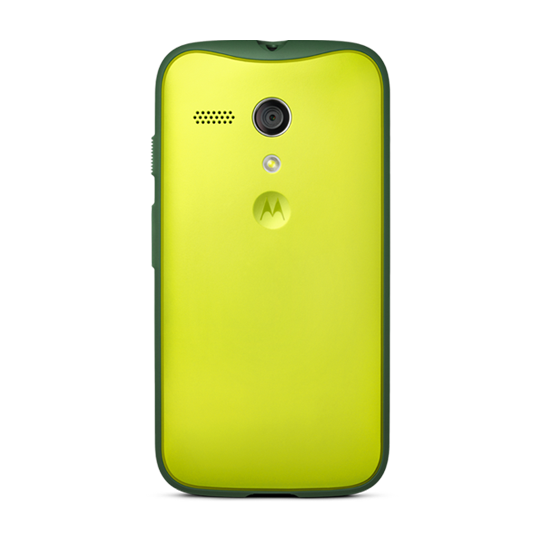 The Moto G Grip Shells come in a variety of two-tone options. There’s cherry red with a black bumper, neon yellow with military green, blue with a bright green outline, white with black, and one all black version for any stoic smartphone owners out there. 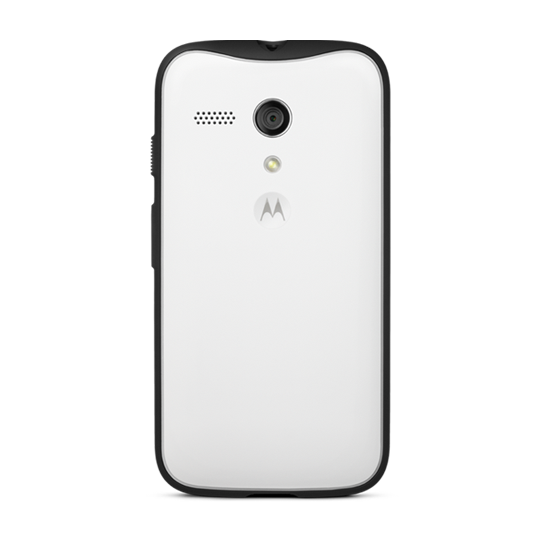 Motorola also offers Color and Flip shells online for $14.99 and $29.99, respectively, as well as a variety of third-party options. 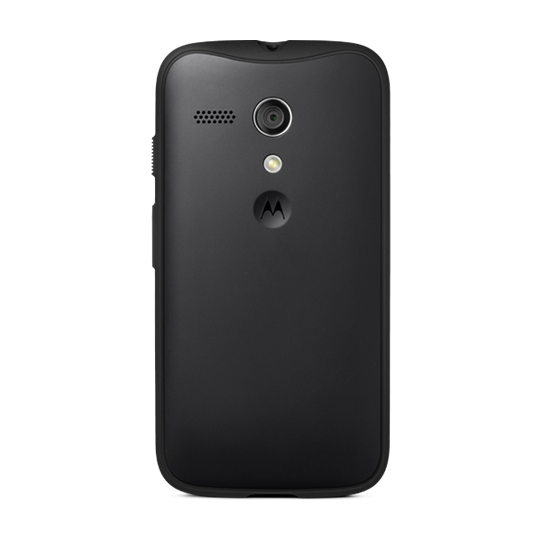 We love Motorola’s idea of allowing you to customize your smartphone by snapping off the back cover and swapping in a new one whenever you want to shake things up, though there’s definitely some room for improvement. The fact that you can see the handset’s battery but can’t switch it out for a backup is frustrating, as is the fact that physically removing the back panel is no easy feat. 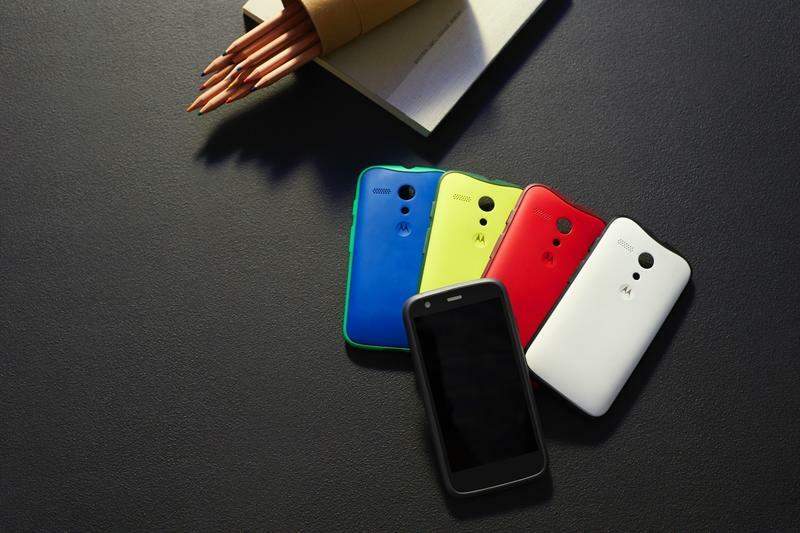 You probably won’t be switching to a new color every few days, so make sure the one you pick the right one.